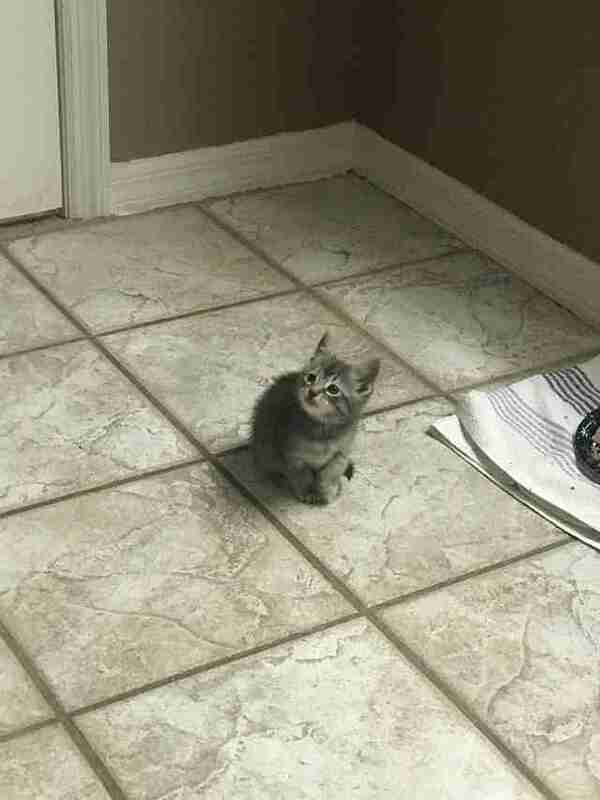 “That little face … I was done." 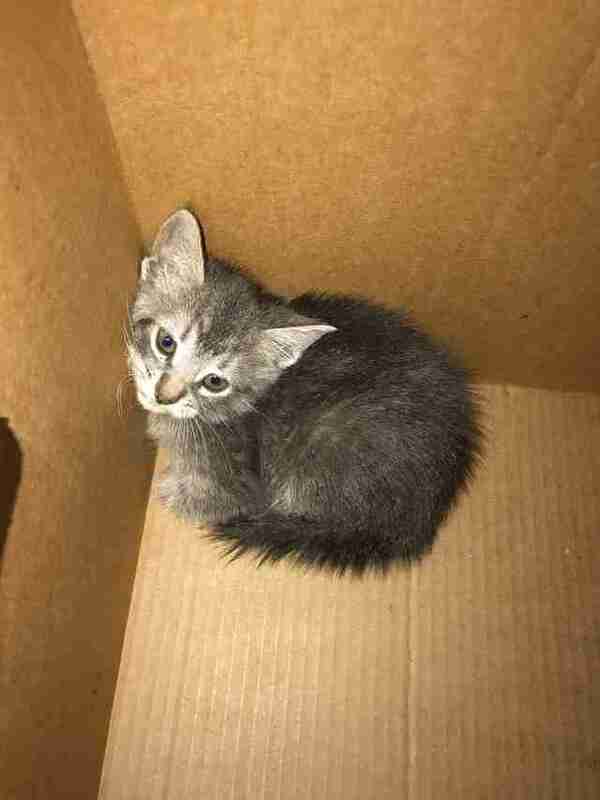 The evening shift at the Lakeland Police Department had just begun when a call came in about a tiny kitten wandering alone near a busy intersection. 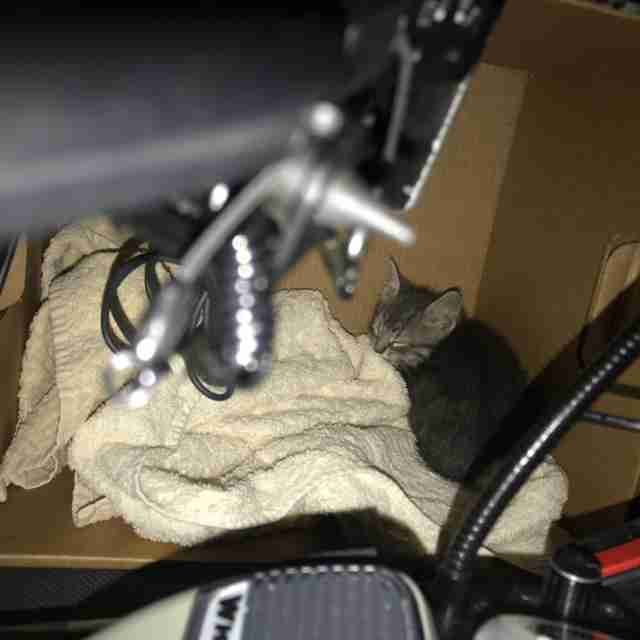 Officer Mike Cardin was sent to go check it out, and he found the kitten huddled up under a light pole, just inches away from Saturday night traffic. 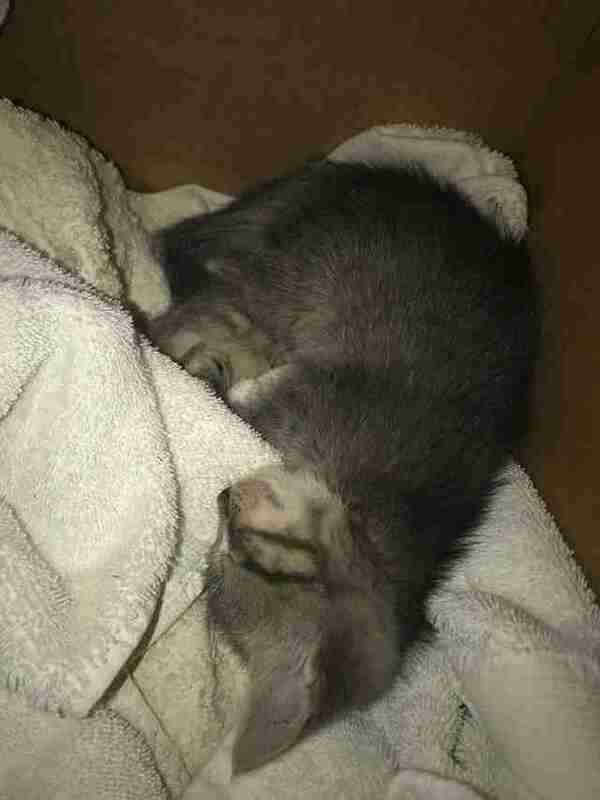 He was able to catch the grateful kitten very quickly and took her with him back to the station. 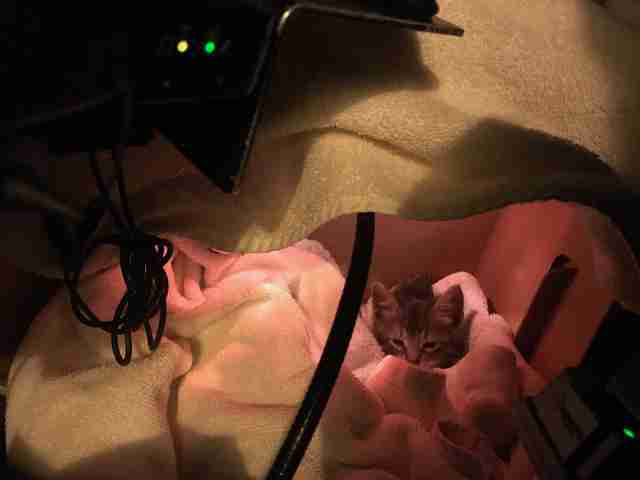 The kennel at the station was much too big (and thus very escapable) for the little kitten, so Officer Cardin fashioned her a cardboard box and then put that box in the kennel. 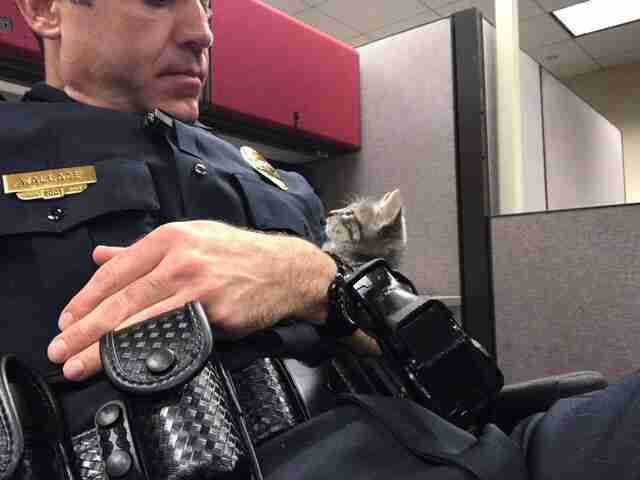 The kitten was supposed to wait there until animal control could come and pick her up — but then Sergeant Brian Wallace started his shift. As soon as Wallace learned of the newest station resident, he decided to keep her company during his shift, because for some reason, he just couldn’t bring himself to leave her alone. Wallace held the little kitten on his lap while he worked at his desk, and while she was initially very frightened and unsure about what was going on, the longer she sat on Wallace’s lap, the more comfortable she seemed to get. After a while it was time for Wallace to go out on patrol — and so he took the kitten with him for that, too. 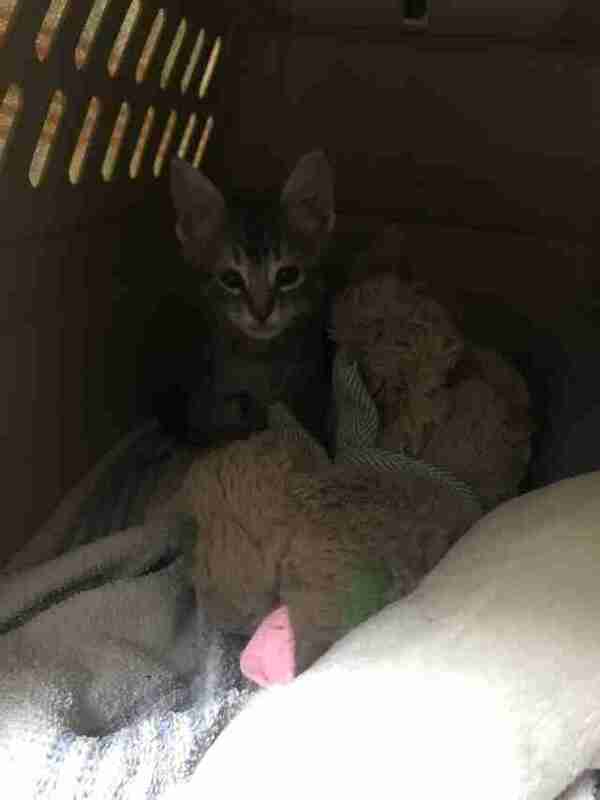 Wallace and the kitten hung out for his entire shift, and when his shift was over, he realized he wasn’t ready to let her go. 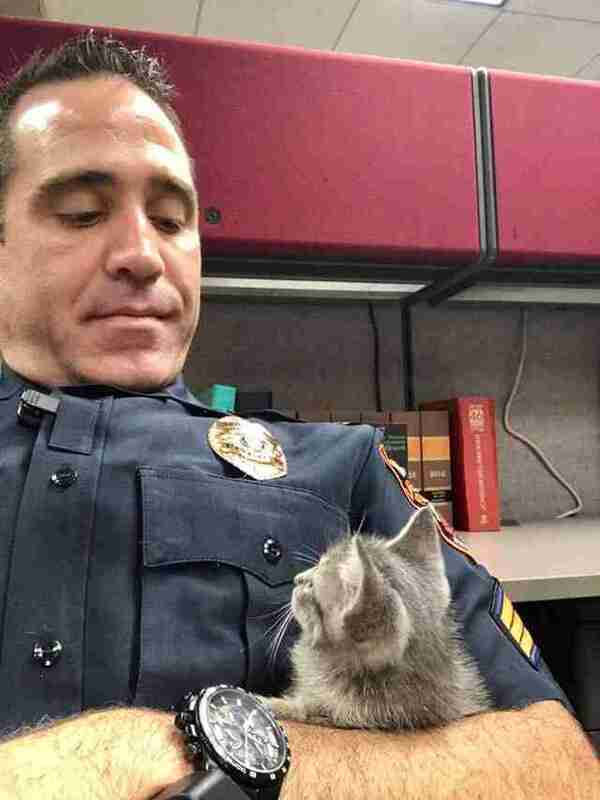 And so, Sergeant Wallace adopted the kitten as his own, and named her Kelsey. “That little face … I was done,” Wallace said. Kelsey is now settled into her new home with Sergeant Wallace and is adapting very well. She’s still getting used to living in a cozy home instead of out on the streets, and is loving every new luxury she’s presented with. Her favorite part of her home is, of course, her awesome new dad, who is already her very best friend.